The Satyagraha Centenary International Conference on “Globalization of the Gandhian Way: Sociology, Politics and Science of Satyagraha” was held at Jawaharlal Nehru University(JNU) in New Delhi from the 13th to 16th November and in the village Bithiharwa in the Champaran district of Bihar from the 17 to 19 November. Bithiharwa is the place where Gandhiji lived with his wife Kasturba for more than six months. Conference convener Professor Anand Kumar said, “It was here that Gandhi built an ashram amidst the atrocities of the White indigo planters and fought for the rights of the peasants. It is the village where the first set of satyagrahis were trained on the Indian soil by Gandhiji.” Delegates from seventeen countries, including Pakistan, Nepal, Bangaldesh, South Africa, Iran, Italy, France, United Kingdom, Ukraine and United States participated in the seven day conference. The event was an interface between practitioners of Satyagraha and analysts.The conference was inaugurated by Tibetan spiritual leader, His Holiness the Dalai Lama. His Holiness spoke about the importance of implementing the concept of ahimsa. In his opening address the Dalai Lama said, “India must export Ahimsa (non-violence) in political field and religious harmony more to the outside world. I think the world really needs that.” He said he admired Gandhi for using ahimsa in the political struggle and expressed his pleasure over the young people taking an interest in Gandhian philosophy. A special essay by JNU Chancellor Yash Pal was presented to the Dalai Lama. His Holiness was also tasked with the giving away of prizes to the winners of Satyagraha Essay Competition and also released a book of the Eight Best Essays. The purpose of the essay competition was to spread the concept of Satyagraha among the Indian youth.Professor Kumar said, “Dalai Lama is one of the living examples in the present day world who symbolizes altruism, love and compassion. He is one of the great teachers of non-violence and Satyagraha. Gandhi’s life inspired him greatly. He is tirelessly making efforts to cultivate a universal responsibility for one another and we are thankful to him for accommodating this event in his schedule.”Many dignitaries attended the conference including social activist Medha Patkar, Rajendra Singh and Gandhi Peace Foundation President Radha Bhatt. Student leaders of various organisations also addressed the gathering. Professor Samdhong Rinpoche, Chairman of Council of Ministers of Tibetan Government in Exile, presented a special lecture on Satyagraha. Rinpoche a passionate Gandhian was presented with a poster of the Burmese Nobel Laureate Aung San Su Kyi by a Burmese Satyagrahi.Professor Kumar said that Gandhiji showed the world that non violence was an effective mechanism to deal with oppression. In outlining the aims of the conference Kumar said “We want to examine all the genuine issues of satyagraha.” Various research papers were presented at different sessions at JNU and in Champaran. At one of the sessions, leaders of national political parties presented their views on “Truth, Satyagraha and Parliamentary Politics”, while representatives of various students’ organisations like the Students’ Federation of India, All-India Students’ Association and National Students’ Union of India had a discussion on “Terrorism, the Gandhian way and Youth of Today”. Satyagraha In Pursuit of Truth’s Hassim Seedat presented a paper at the plenary session entitled “Trajectories of Satyagraha and Non Violent Movements since gandhi and the organization was also represented at the “Terrorism, the Gandhian Way and Youth of Today” plenary session. Several films on Satyagrahas in South Asia were also screened during the event.Professor Kumar emphasized the need for dialogue about globalization of the Gandhian way in the last century. 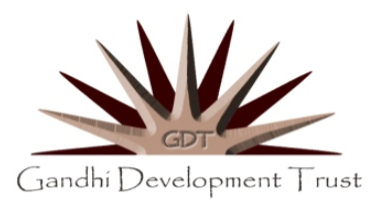 “Satya (truth) and Ahimasa (non-violence) have been integral parts of the Gandhian philosophy. They have been propagated and further evolved after Gandhiji by a number of people and the Gandhian way has been pursued through creative engagement of many people in different parts of the world including Khan Abdul Gaffar Khan in Pakistan, Martin Luther King in USA, Nelson Mandela in South Africa, Aung San Suu Kyi in Myanmar and the Dalai Lama of Tibet,” said Kumar. Kumar added “Sayagraha has generally been acclaimed as the most revolutionary contribution of Mahatma Gandhi to political thought and action. Gandhiji developed truth and non violence into an infallible technique of social change which can be used both for removing the existing evils from society as well as ushering in a new order free from all the ills that plague the present social order.” “Problems like conflicts, destruction of natural resources, poverty and hunger can only be resolved through human effort, understanding and a development of a sense of brotherhood and sisterhood,” said Kumar.Editorial CommentWhile December heralds the end of the year festivities, and we take this opportunity to wish all our readers a very happy festive period, there are also some very important and thought provoking events that we need to consider as we celebrate. Among these are the 16 days of activism against women and child abuse. We as South Africans need to gather in numbers to raise awareness during these 16 days to condemn any form of violence as violence only begets more violence and it is destructive. The 16 day of activism must be the incentives for us to work harder to stamp out violence from our societies so that we can begin to be proud of being South Africans. Another important date is 1 December. This is World AIDS Day and as we remember the many bodies we have burried during this year and the many orphans that need care and the many grandmothers who are struggling to care for themselves and their grandchildren, let us pledge responsibility towards ourselves and our community by preventing HIV from spreading any further. Let us do this with dignity and steadfastness. Another important date is 16 December. This is the day of reconciliation. This is not a day for any one of the various ethnic groups in South Africa to come together in unity, but a day when we can all declare our proudly South African nationhood and pledge as a nation to unite and create a better South Africa and a better world. Any rot in any one section is bound to affect the others so let us not be divisive. Let us unite and come together beyond ethnicity and class caste race and cultural divides to be proudly South African. South Africa has been a beacon of hope for many countries. The impeccable record of our leaders such as Nelson Mandela, Walter Sisulu, Chief Albert Luthuli, Bram Fischer, George Sewpershad and so many others should bind us together as a proud nation. Let the day of reconciliation indeed bring us together and bind us in a knot of friendship and love. Chiara Lubich, the leader of the Folkolare movement in Italy says, “When love is enkindled and alive in the hearts of those who make up the family, impossible problems do not arise, insurmountable obstacles do not present themselves, irremediable failures do not occur. The family returns once again to being beautiful, united and healthy as God intended it to be.” December is also a time when the African National Congress goes to its conference. As the ruling party in power we are concerned about its deliberations. While the rumblings of the past few months does not bode well let us all pray that the focus at the conference shifts from self aggrandisement to the real goals of this powerful and once revered organisation of the people of South Africa as postulated in the Freedom Charter. Let us pray that the efforts will be towards team building and not divisiveness, goal orientated and not self orientated and that the Conference emerges with a stronger, morally upright and ethically bound organisation.